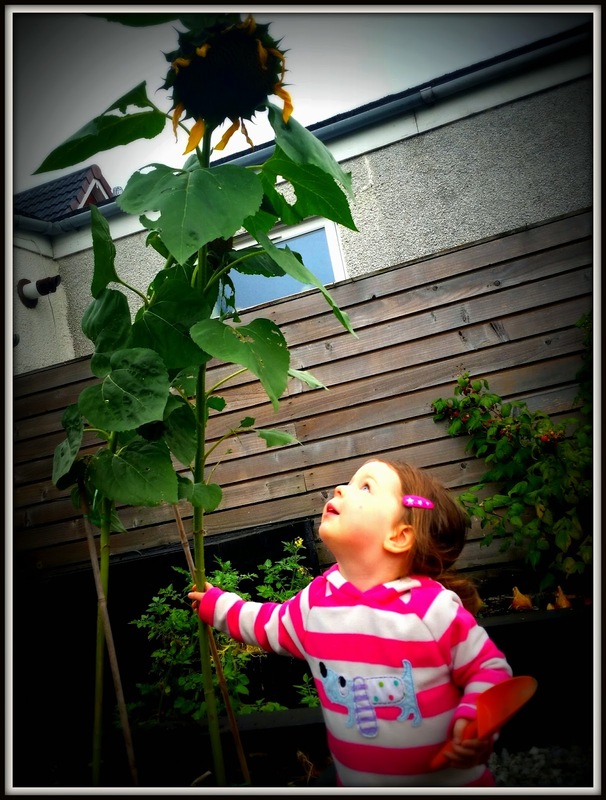 Mummy, who has stolen my sunflower's petals? But there can only be one winner (well it's actually two) and this year it is...drum roll please...Jamie and Ollie Norton!!! Here is Ollie with the winning sunflower. It is soooo tall it is higher than the shed and his Daddy needed to hold him up to see it properly! So well done to Ollie and his big bro Jamie. Your prize will be winging it's way to you soon.